STUDIO 24 NOW OFFERING OFFICAL READY SET DANCE CLASSES A brand new music and movement class with a major emphasis on fun and creating confident little people! The loveable TWIRL and FREEZE will soon be inspiring preschoolers across Perth as they embark on their dance journey. 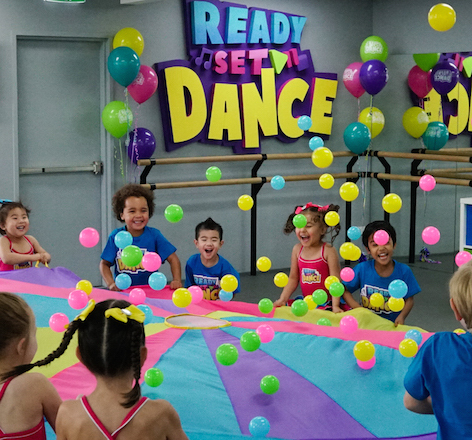 Studio 24 is now an official READY SET DANCE studio, and joins a growing network of over 150 dance schools across Australia and New Zealand, all who offer the jam-packed hour combo class. 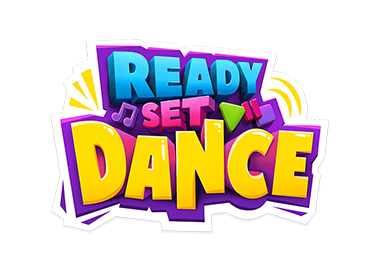 READY SET DANCE has been developed using the knowledge of successful dance teachers who have been running classes for this age group for over thirty years. Targeting ages two to five years, the syllabus is divided into two levels. The specially designed Jazz, Hip Hop and Tap exercises are perfect for both boys and girls in this foundational level of training. Through exercises such as balancing bean bags, working as a team with the parachute, singing on the microphone, and playing musical instruments, the classes extended beyond dance to develop skills such a teamwork and confidence. A dancer that enrols in READY SET DANCE can continue their dance journey from preschooler to professional dancer. With so many changes happening around school transition time it's very comforting for little dancers to know they can stay in the same studio with their same friends. READY SET BALLET is a 30 minute magical ballet experience for preschoolers.Come and join the princess party, swim with mermaids and play with fairies.Twirl will lead our little ballerinas through each step of the class as they learn the fundamentals of ballet. Enrol your preschooler in a READY SET BALLET class.